released them after negotiations and surrendered. 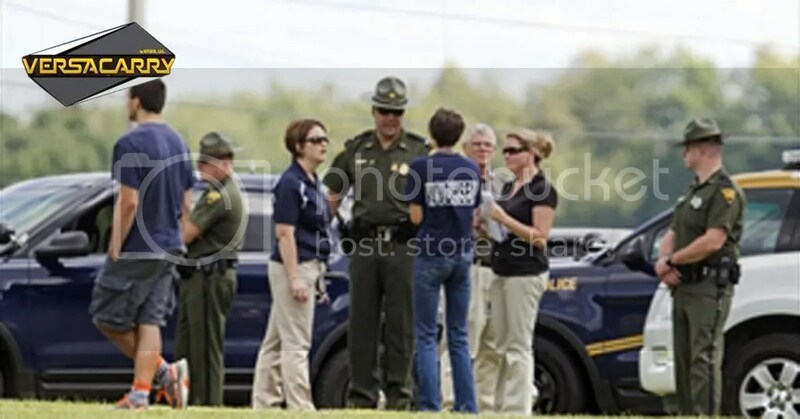 north-central part of West Virginia, state police Lt Michael Baylous said in a statement. It was the ninth day of the new school year in Philippi, a town of about 3000 residents located about 185 kilometres south of Pittsburgh, Pennsylvania. Authorities said the episode began after 1pm and police had brought the situation under control by about 3.30pm though they didn’t immediately say just how long hostages were held. Barbour County schools superintendent Jeffrey Woofter credited the teacher for maintaining control when classes were about to change and praised the Philippi police chief for talking the suspect into giving up. “The teacher did a miraculous job, calming the student, maintaining order in the class,” Woofter said, declining to identify the teacher by name. Students who opened the door to enter for the next class were asked to leave. Those students went across the hall to alert another teacher, who then alerted school officials. An assistant principal raced to the hallway outside the classroom, then called the office asking that police be alerted, Woofter said. Kayla Smith, a 17-year-old senior, said initially no one in her classroom in another area of the school took a “code red” warning seriously. “Then we all held hands and said a prayer,” she said. Woofter said Philippi police chief Jeff Walters negotiated the release of the students from the classroom and eventually got the suspect to surrender a few hours after it began. Walters “did an awesome job negotiating with this very troubled young man”, Woofter said.